Should I Include Animation in My Pitch Deck? PowerPoint has a ton of great features including the ability to add animation to your investor presentations. You might have seen someone using animation in their pitch before. In this article we wanted to eliminate any confusion around the benefits and downsides to using animation in your pitch deck. Animation doesn’t really come into play when you are sending your pitch deck as a visual document or a teaser deck, but instead will mostly apply to in person pitches to individual investors, investor groups or at pitch competitions. For these types of in-person events, animation–used sparingly–can play a big part in grabbing and retaining your audience’s attention. When you are sending your deck to investors without the associated chance to pitch (or speak), you will want to save your pitch deck in an unalterable format like PDF. This will ensure you don’t have issues with fonts, image sizing, etc. And more importantly, it ensures the investors themselves see exactly what you want them to see, on any device, using any PDF opening software. Make sure you never send your investors a PowerPoint version of your deck. This can cause alot of visual problems that will take away from your message and possibly cost you the deal. For these types of teaser pitch decks, there will be no ability to layer content, so you can skip all animation and visual effects. Instead, choose to focus on concise messaging that leaves the investor wanting more. Your teaser deck should be simple, concise and attractive to make it past the screening process with potential investors. You’ll notice PDF file versions will naturally strip out all the layered content in your presentation. So if you save a more complex PowerPoint with overlaid animation as a PDF, you may end up with an unreadable mess. Keep it simple and give it a final once over before sending, just to ensure there are no errors from the conversion process. Animation will take more of a role when you are presenting in front of a live investor audience. In these types of pitch events you’re using your deck as a visual aid to back up what you are saying. There are a few parameters to keep in mind when you are deciding between whether to use animation or not. When you present you want your audience to pay attention to you. You want them to hear your story and understand your company. For this, they need to be able to listen to you and not be distracted by your slides. An audience can only really do one thing at a time. When you want them to be focused on what you are saying don’t use animation. In fact, don’t use anything that would take their attention away from you, the speaker. This is important and a big reason that we need to keep animation to a minimum. It’s should be the highlight of a concept or a topic rather than the substance of your pitch. Your words, story, and emotional connection are the substance of your greatest pitch. And we want the distractions you are in control of–like too many animations or animations at the wrong time–to be eliminated. In PowerPoint, you have the option to create several different types of animations. These vary in complexity and some are extremely complex. Anything you think is over the top, probably is. The key is to go for simplicity and to have the animation support the audiences’ ability to listen, hear, and understand your pitch. The two most common types of animations to consider in your pitch are the “Fade In/Fade Out” or the “Appear”. Fade is a great transitional animation that can help with introducing content and new sections of your pitch. Appear really helps us to fine tune the audiences’ attention. This appear animation helps us limit what the audience sees and keeps them from reading ahead. It works to keep them focused on what you are saying instead of trying to jump ahead to your next topics. These two animations are the only one’s you should really use, but keep in mind Rule #1 – Use Minimal Animation your pitch. Too much of even these types of animations can make the presentation feel stilted and the audience might grow weary of being throttled or seeing the same types of transitions on every slide. We want to use these types to primarily draw attention to transition points or to help the audience stay focused on us and what we’re saying. It’s important to remember, the types of animations you choose don’t make your pitch better, they help keep the audience engaged. So try to make sure you are using them as an aid more than the meat of your pitch. This is the most rare case of all because most information can be visually explained with simple, flat images. But, what if you have a topic like Block Chain or other Decentralized Ledger Technology where there are many parts, people, and transactions that take place? Animations can be great for simplifying these concepts into a more visually appealing and digestible way. The great thing about animation used in this way, is that it helps you move forward through a process. A static visual might be too complicated to easily break down each step. Animation helps unite the points in the process and it helps you tell the story of how this complicated tech works from beginning to end. I would focus on using animation very minimally, use it to build slides and where there is less information on the slide behind you. Be very cautious of using weird animation and don’t use too much of it – you really do not want to distract your audience. If you have any other thoughts on when and why you should use animation, I’d love to hear your thoughts in the comments below. If you have a new idea for a Pitch Hack, definitely let us know. We’d love to talk about your idea in an upcoming video.  We put out new Pitch Hacks every single week.